Located in Letcher County in the southeastern corner of Kentucky, Lilley Cornett Woods (LCW) encompasses 554 acres of mixed mesophytic forest. A portion of the total acreage, 252 acres, is designated as "old-growth" forest; a forest which has not undergone any manmade changes in 150 years. Biodiversity of plants and animals abound at LCW. There are over 530 species of flowering plants and an estimated 700 breeding pairs of birds present. In addition, a variety of small mammals, amphibians and reptiles call Lilley Cornett Woods home. Due to the unique nature of this ecosystem, it is an ideal location for ecological and environmental research. Currently, over fifty completed studies have been documented, ranging from small animal surveys to hydrological investigation and archeological assessments of rock shelters. One of the most important investigations has been the decadal forest composition research which has taken place over the past 40 years. In order to conduct research at LCW, a proposal must be submitted in writing prior to conducting the research. The Division of Natural Areas' research protocol is located on the "Research" link on the "Explore" vertical menu. Public access to Lilley Cornett Woods' two designated trails is by guided tours only. Hikers may choose between the 2 hour guided tour and the 4 hour guided tour. Tours are not regularly scheduled, but are available during Visitor Center hours on a first come, first serve basis. Calling ahead to schedule a tour is recommended. For groups and classes, contact the manager in advanced to schedule a tour. For a general map of LCW, click here. We recently received a grant from the National Science Foundation to construct a 1700 sq ft Research and Learning Center. The facility has a classroom/dry laboratory and a wet laboratory with support space for each, and is available for classes, meetings, and research. 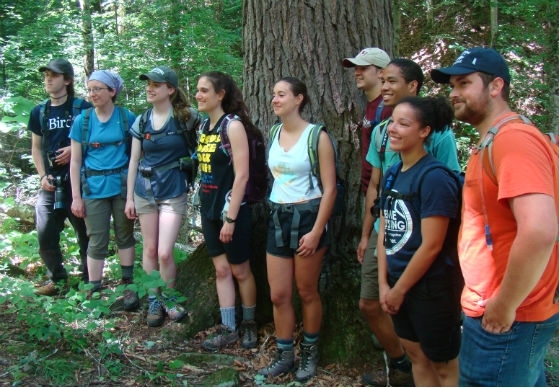 Housing is available on a year-round basis for researchers and educators. We have housing for 10 in our newly constructed "bunkhouse" and for 12 in the historic Ledford-Craig house, which is located just down the road from the Visitor's Center. Below is the complete list of fees and housing policies, as well as frequently asked questions. 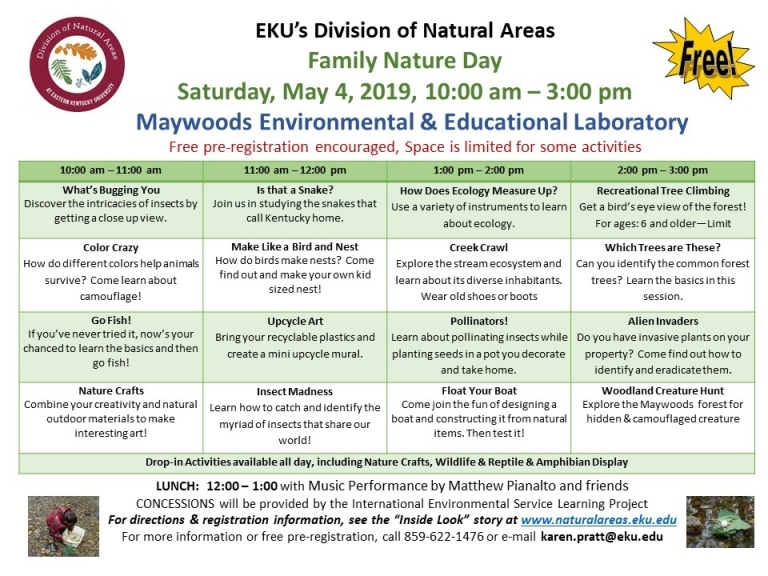 For further information, contact EKU's Division of Natural Areas: 859-622-1476.